It’s beginning to look a lot like…Black Friday, Cyber Monday, and yes Christmas then the New Year! 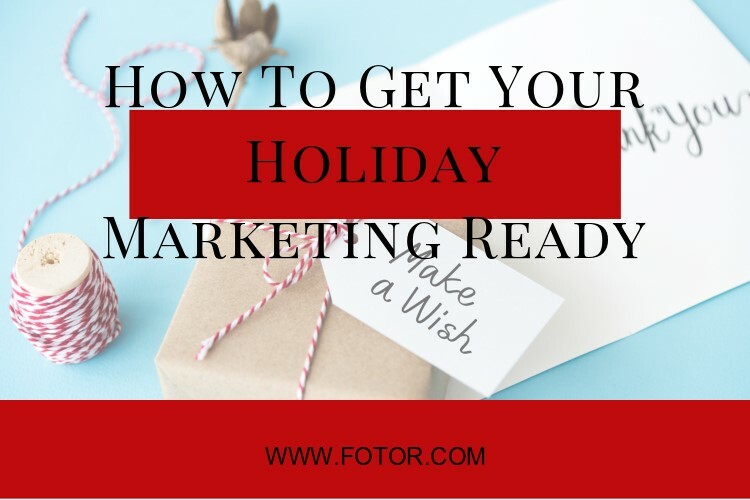 When it comes to holiday marketing it can be anxiety-inducing. But it does not have to be. 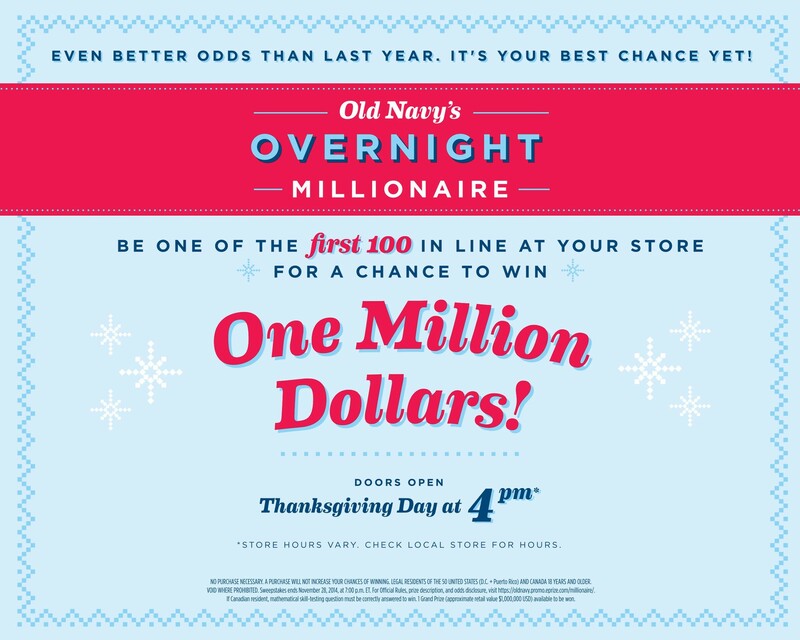 The holidays are a busy time for all but also a fantastic marketing opportunity. It’s the biggest shopping season of the year. It is also a time when people love to connect and reconnect. That is why it is important to bring in the cheer across your online platforms while also remembering to stay on brand and growing. When it comes to your holiday marketing campaigns you want to bundle up all that love, giving, and cheer in a package that touches your customers, and potential customers, right in their heart space. Things will only get busier and busier as the holidays get closer and closer. Get organized early. Create a holiday season marketing plan based on your regular plan but multiply it. Think email marketing, social media marketing, blogging, etc. But, decide if you want to push out extra content. Maybe you are running some special sales for the season that would work best with weekly instead of monthly emails. Maybe you need some bonus blog posts to share holidays stories and customer successes. Mix your marketing cocktail. Some of the best holiday marketing campaigns use a mixture of blog posts, videos, social media posts, quotes, contests, giveaways, and more. Look back at your most popular holiday content and content types and see how you can leverage those that best engage your audience for the holiday season. Remember to mix promotions in with success stories, tips, and helpful content. Gather your resources. You and your team do not have to create all the content yourself. You can add in user-generated content to your strategy, collaborate, and share other great content like classic holiday videos and viral gifs. Maybe you can even join another brand or company that has complimentary products or services and support one another to get your content out to a new audience. Put a system in place. If you do not already have a way to systemize your content sharing process then you may just want to create one now. Like that old adage about sharpening the saw, the time you put into pre-planning can save you a lot of time and stress later. Have a way to schedule posts and emails to go out automatically. Some systems can even tell you the best time to post by your audience and analytics. 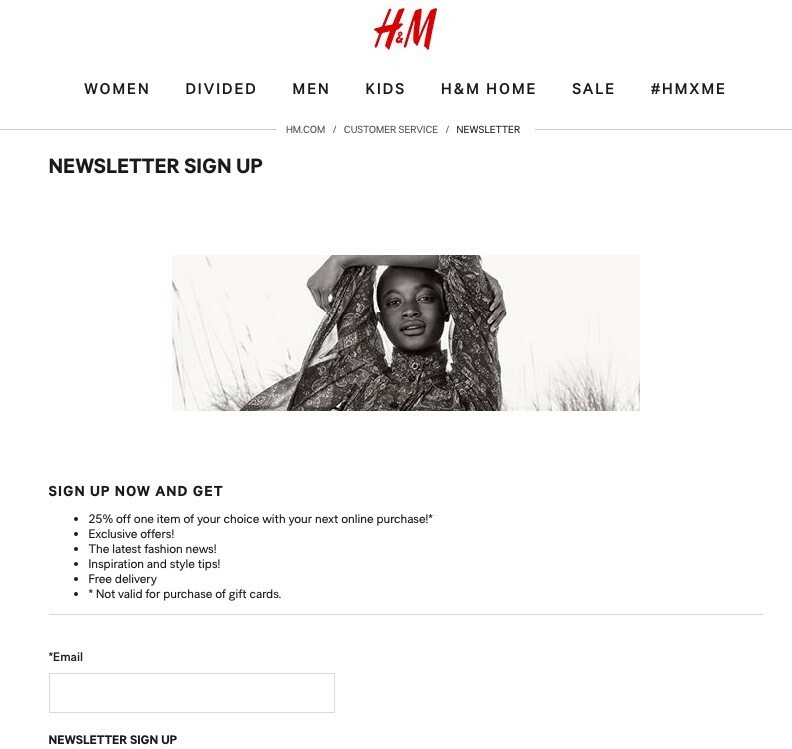 Design a holiday season email template and go ahead and write your copy. 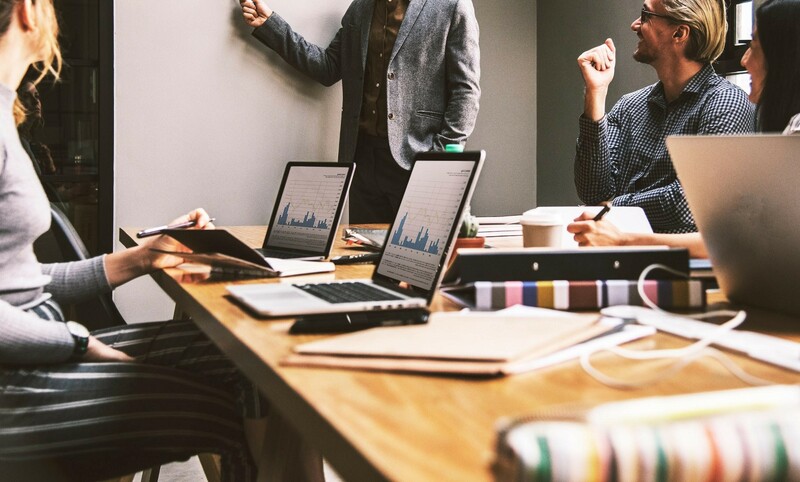 Creating and scheduling your content ahead will give you more time to respond to questions and engage your audience with that content later making your work more effective. Choose some Facebook post templates too and customize them for all your holiday social media posts. The holidays are meant to be light and fun. Of course, they are not always for everyone, but you can seek to give your clients and customers that feel and childlike wonder. Unless you have a very serious business where it is just not appropriate, the holidays are a chance to get more playful with your brand. You can still stick with your tone and feel and even your brand colors if you like but make everything more festive and inspiring. Your social media covers are prime locations to advertise your holiday discounts, any changes in hours, and specials or contests. You can use one of Fotor’s templates to change your headers to temporary holiday ones for sending well wishes or sharing information with your audience. Give back and honor those who already follow you with exclusive giveaways and discounts. These could be geared just towards your social media followers or just towards your email list. Let your customers know that you see them and you care. Honor them for this year that they have been loyal to you. The type of offering is up to you. You could offer a certain percentage off what you sell, special packages where products and services are grouped together, free shipping or a free gift. 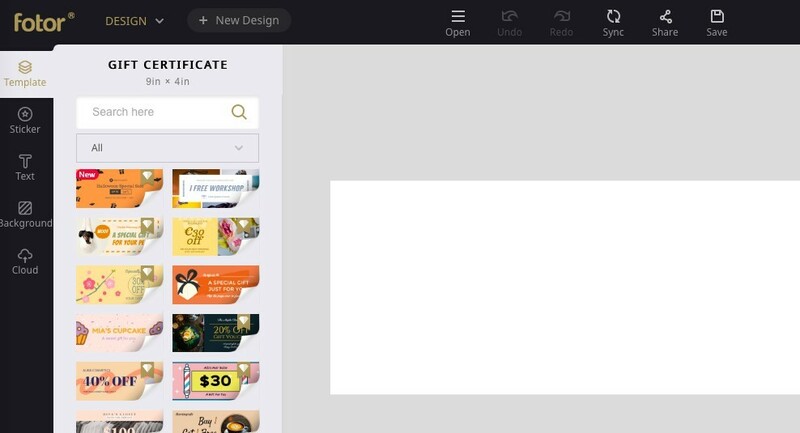 You could even use Fotor to design some holiday only coupons. Another great idea- gift certificates! People will be looking for gifts and digital gifts, like certificates, are great for your followers to give to friends and family that live at a distance. You could also create a special offer to gain signups for those who are not on your list yet. The holidays present a massive opportunity to grow awareness for your brand and increase your email list. It’s the list that can keep on giving back to you throughout the new year. RiteTag has a great list of holiday hashtags that are popular on Instagram and Twitter here. See the full infographic of contest ideas here. Along with contests, quizzes are also a wonderful way to engage your audience. Think about the popularity of Buzzfeed. You can use a third party software like my partner Interact to create engaging holiday quizzes that match your brand goals or are just for fun. 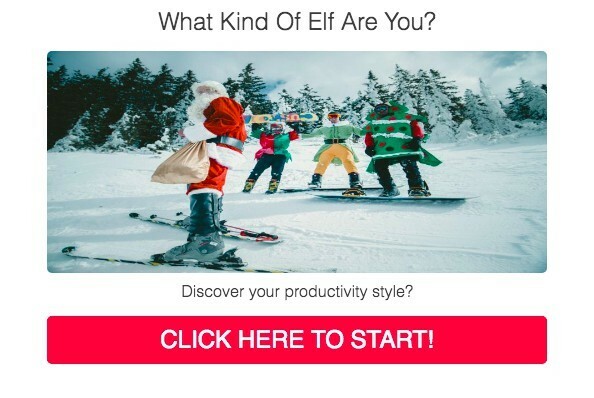 Example, say you have a productivity product, you could create a holiday quiz called What Kind Of Elf are You? With answers related to different productivity styles. By sharing your quizzes on social media, you can require visitors to put in their email addresses for their results. This makes quizzes another great way to grow your email list. People love stories. Our brains are hardwired to pay attention to stories. The right story can capture your audience’s attention while showing off your brand and warming hearts. Holiday-related customer or team stories are a great place to start. Who you have helped and how. “There is a reason people love and remember stories. And it comes down to some chemicals in our brains. Think endorphins. Dopamine and Oxytocin. Share a story that speaks to their hopes and dreams and quells their fears. Airbnb does a great job at capturing stories to make people’s travel dreams come true. For one campaign they created a mini story series of videos following couple Saif & Kareena on their holiday journey from picking a home with Airbnb to communicating with their host and then to the actual trip. Maybe you can’t have an office party with all your followers but you can take the party online. Why not consider starting a live video event or chat/hashtag party. Facebook pages and groups are a great place for this. Or an event page. Fotor can help you create the graphics for your event. Be sure to advertise ahead of time and have people join you and your team at a certain time online for a virtual party. Make it fun. Instruct your audience about what to have available. Certain drinks or snacks that you will all be sharing. Certain dress. Maybe they can wear an ugly Christmas sweater during the event and post a pic to the event page. This can create so much fun and engagement. You can even create your own hashtag for participants to use. #VirtualPartyTimeNow It’s a way to get customers near and far celebrating your brand. Is there something you could offer around the holidays that you do not offer any other time of year? A package service or a holiday-themed product? 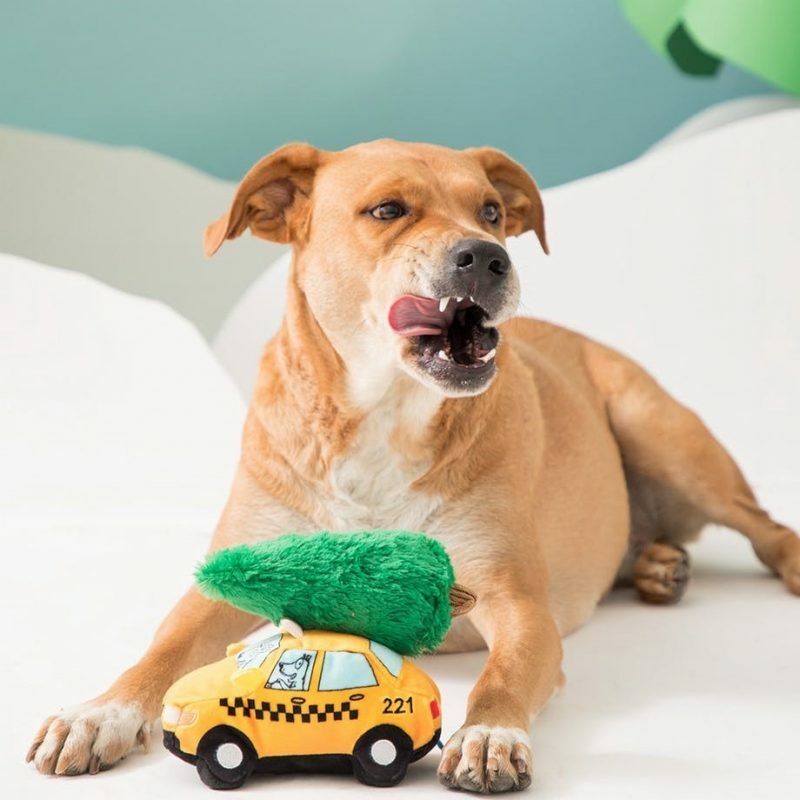 Bark Shop, an online pet products retailer, sells Dogsmas Tree Delivery. A Christmas themed toy for your favorite fur baby. Flash sales are time sensitive sales that are perfect for the holiday season. The flash sale is not right for every brand and there are some cons. You can attract bargain hunters that are just in it for the one-time deal and will not be loyal customers later. But, a flash sale can gain you new customers and boost your holiday profits. While also giving you a boost in traffic and awareness. 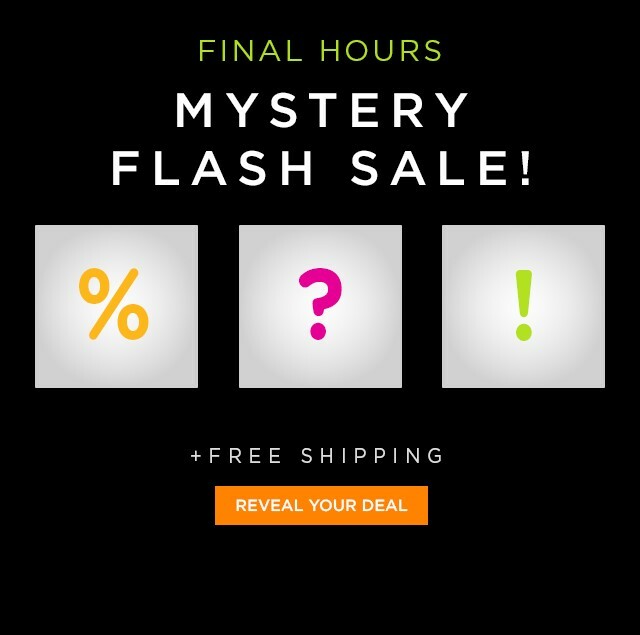 For extra interaction, you could try a mystery flash sale like this example from Shoes.com. Every year they come out with their Holidays Are Coming commercials that make you just want snow and coke. Family, clever product placement, and a cool jingle. They get storytelling ads. 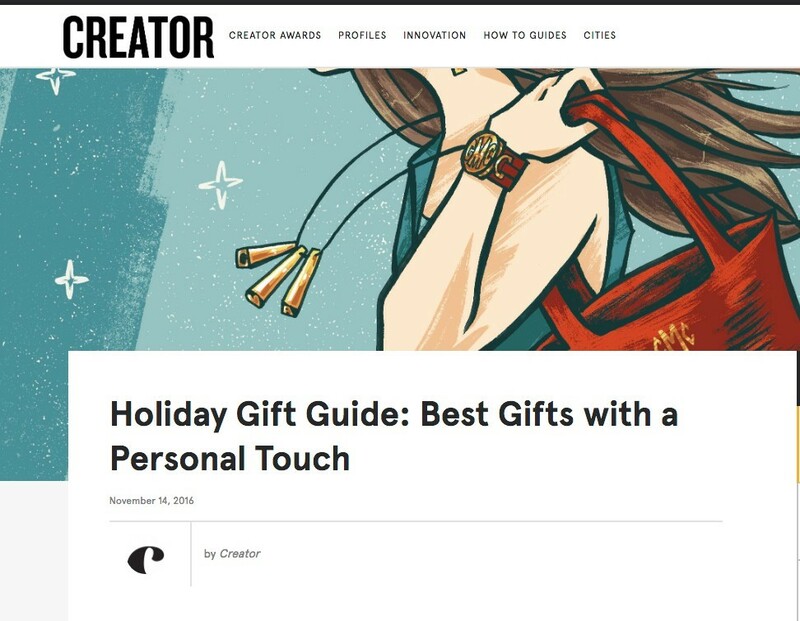 WeWork, a supplier of creative and collaborative workspaces for digital nomads and entrepreneurs went to their online magazine “Creator” to offer a unique holiday gift guide. They created a whole series out of it. That’s thinking different! 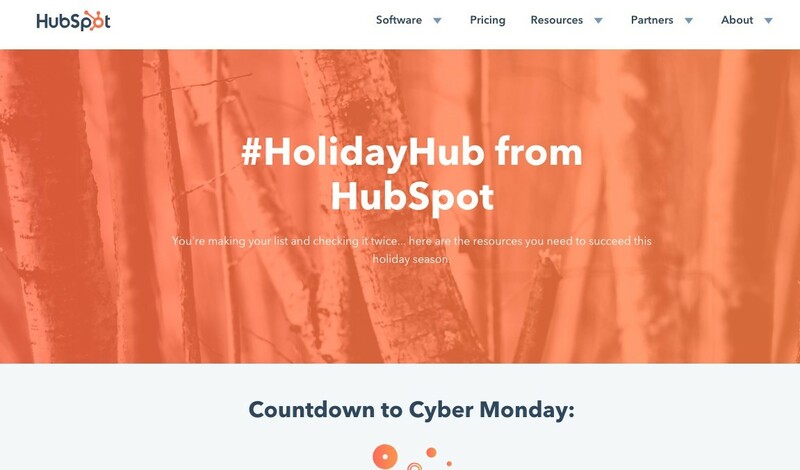 #HolidayHub from HubSpot gathered together needed holiday resources for their audience together on one page with a Cyber Monday countdown counter. L.L. 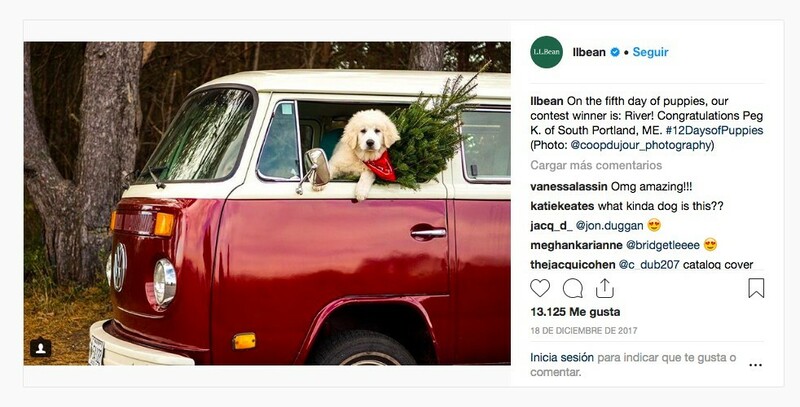 Bean took to Instagram with a photo contest. Who doesn’t love great dog photos during the holidays. The comments and emojis were rolling in fast. User-generated content and a contest all thrown into one. Great work! As you can see there are so many holiday marketing ideas and strategies to share your brand and promote holiday cheer from awesome holiday graphics to short films to magazine gift guides to outrageous giveaways. Get creative. Get organized and enjoy. What’s more, If you use discount strategies reasonable, it also will give you super surprise. Whether you are a big brand, small brand, or riding solo in your business, you can take advantage of the holidays with some unique holiday marketing ideas for brand awareness, brand loyalty, and just some plain ole Holiday fun.